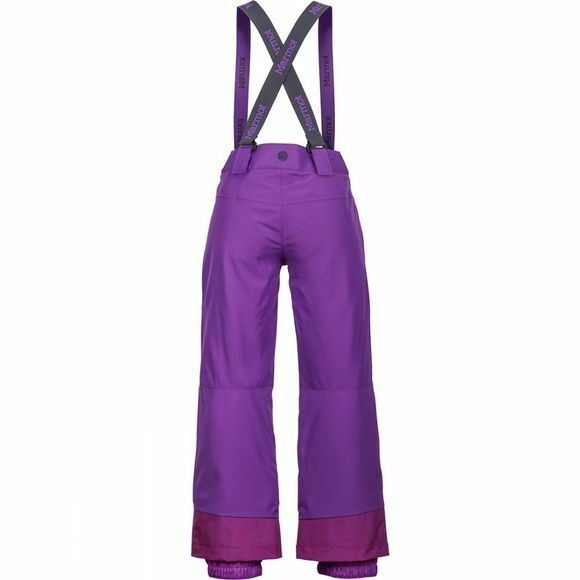 Hard-working, the Girl's Starstruck Pants take to the snow with confident style. Made with a two-layer waterproof and breathable MemBrain fabric that's seam taped, their unique adjustable length allows her to grow into the pants. Adjustable, colourful braces customise the fit. 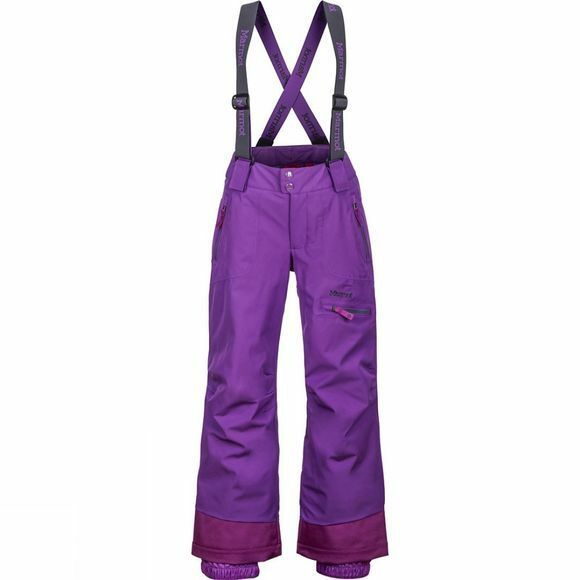 Mountain-savvy features include articulated knees, leg vents with water-resistant zips and internal gripper elastic gaiters.